Pizza! 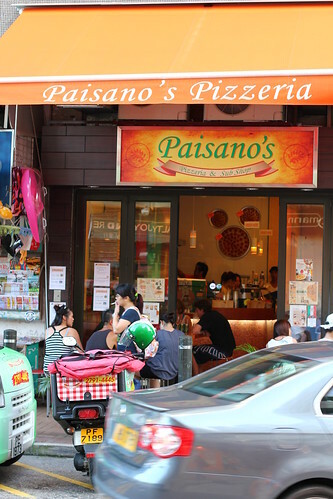 Where can you find decent or NY-styled pizza in Hong Kong? A very good and tough question indeed! I am still in search of that plus it is rather hard to define what a good NY-styled pizza is, more towards personal preference but one thing for sure, those being served at Pizza Hut is NOT what we are talking about here. 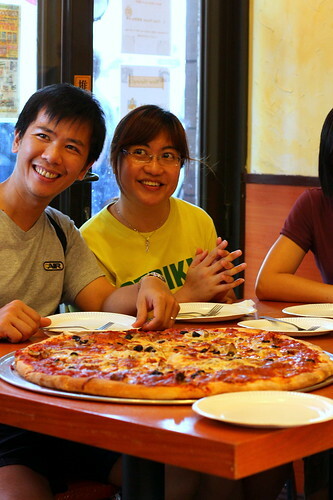 I recently came across this little pizzeria in Sai Kung famous for their 24" pizza!!!! I am known to over-order and this evening was no difference! Only 4 of us and we order way too many! 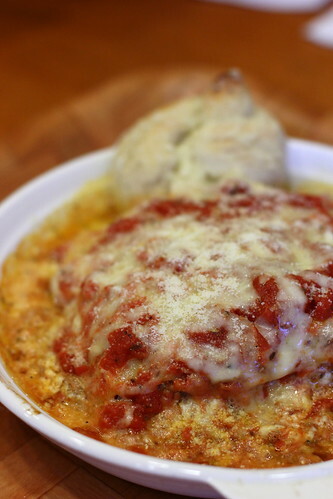 We started off with Lasagna and it was cheesyyyy. Flavors were slightly weak but the cheese made up the downside. Layers were well defined and fairly moist as well. A very satisfying and hearty dish indeed. However, not for the light hearted because it can be fairly filling. 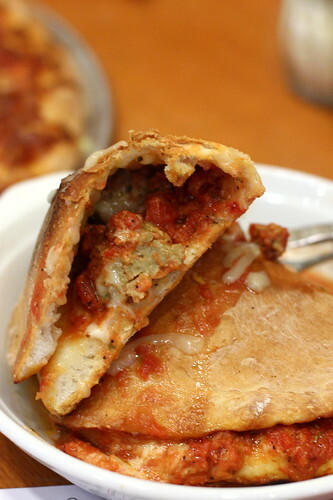 Next we moved onto the Meatballs Calzone. We were sane enough to order just the 18" to share and not the 24"! I forgot which one we ordered but I think it was the Paisano's Pizza. In any case, it was thin and firm at the same time but the center of the pizza was a bit soft / overly moist. Again they did not hold back on the cheese at all, thumbs up on that. 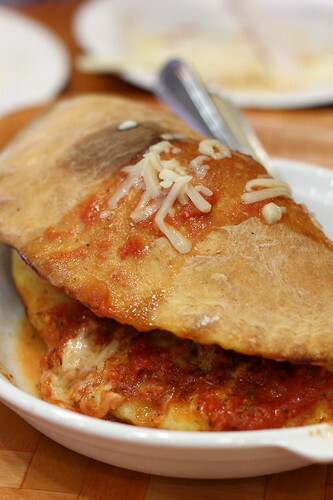 Flavors were good, not too strong on the tomato sauce which I don't really like. Another thumbs up on that. 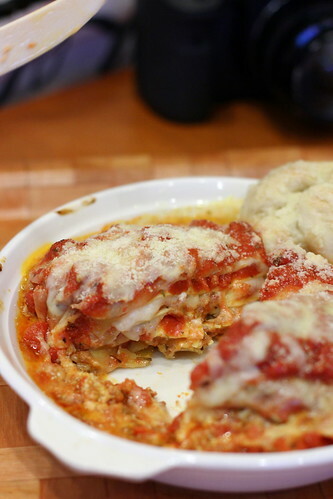 Heart warming Lasagna, very cheesy! Very decent pizza, well balanced flavors and lots of cheese! Seems like a decent place to get your pizza fix outside of the NY/NJ area! 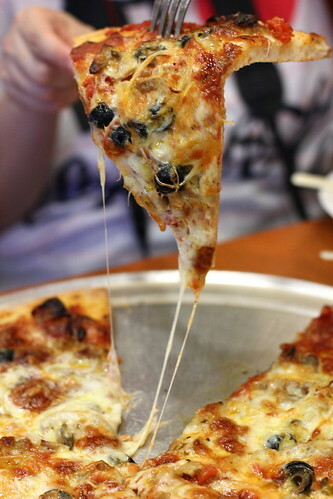 Weird to see a knife & fork in action when devouring NY style thin crust pizza, though :) We usually go hand & head first, fold it & then inhale it! Chicago style pizza on the other hand...you need a forklift! Thanks for the post! I'll google map this place & give it a try when I'm visiting Hong Kong in the fall! 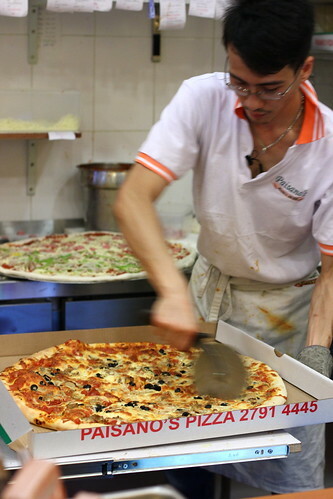 My friend who is working in HK right now is from the NY/NJ area & is dying for a good slice! I'll send him this post! I think the one that comes closest in style to New York pizza is New York deli's version ~ but that's not to say its good. I mean, finding a decent pizza in HK of any style seems impossible!! Yet to go back and try Posto Pubblico's version though. Some says its good, some says it crap, much like 208. 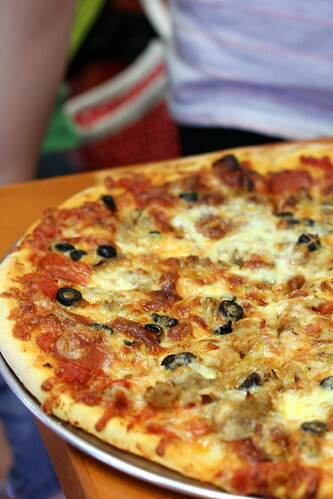 My personal favourite pizza for now is Domani's one, but I haven't had that many to compare.